Thursday’s Special – !! !Asian Chicken Salad!!! 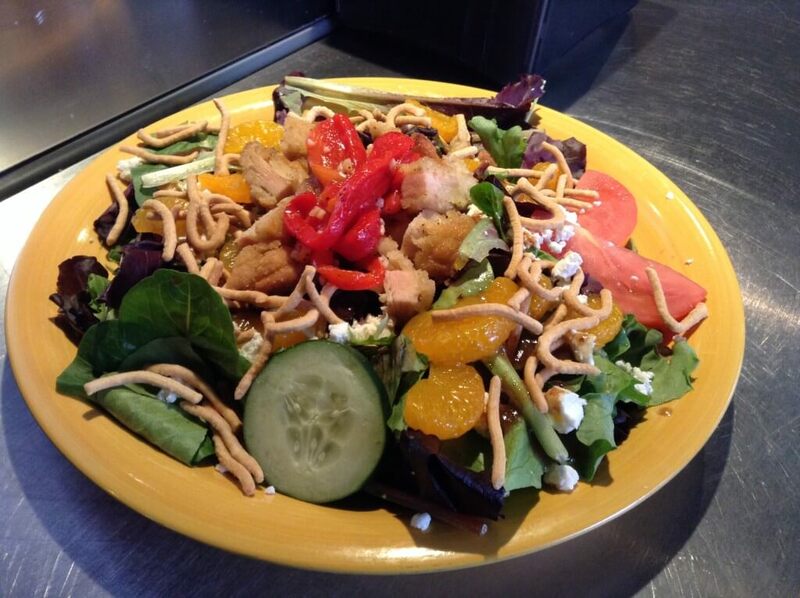 Mixed greens topped with chicken in a citrus Teriyaki glaze, mandarin oranges, crispy noodles, goat cheese, water chestnuts, roasted red peppers, and creamy lemon poppyseed dressing, with a touch of sesame oil and soy sauce! Tuesday’s Special – !!! !Honey Mustard Chicken Club Wrap!!!! Lenten Special !!! !Battered Cod Fish Sandwich!!! !